Kristen and Brett share a moment of adoration during their ceremony at Castle Mountain Resort in southern Alberta. 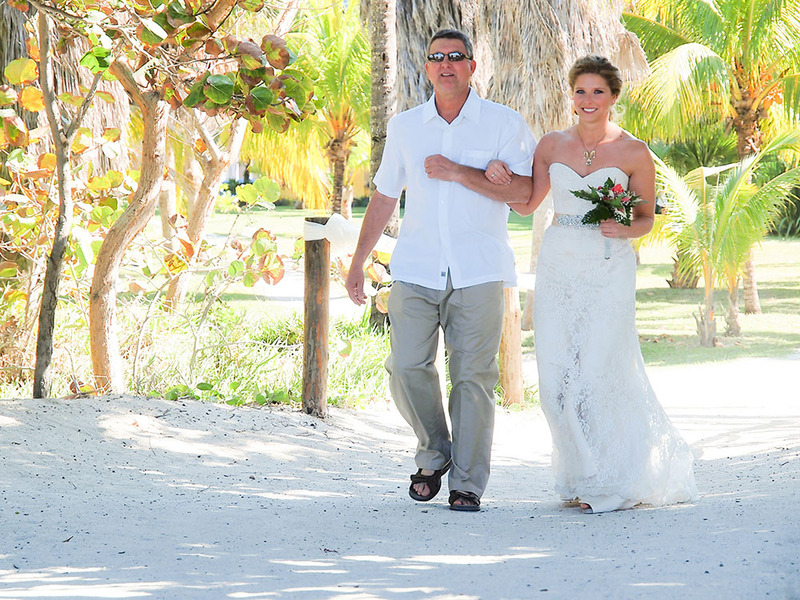 Amanda's father walks her down the beach "aisle" for her beach wedding to Jeremy. 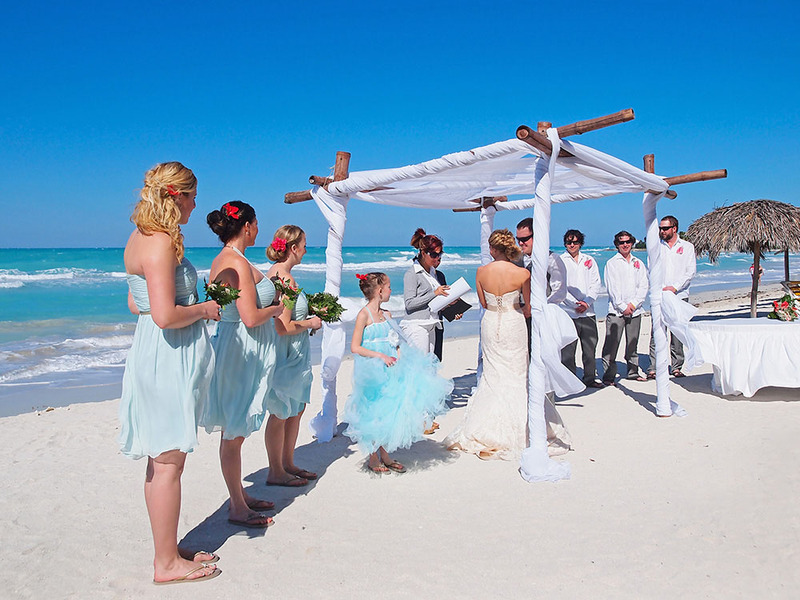 Jeremy and Amanda say "I do" in a colourful beach ceremony in Varadero, Cuba. Destination wedding photography combines my love of travel and creating art for my clients. 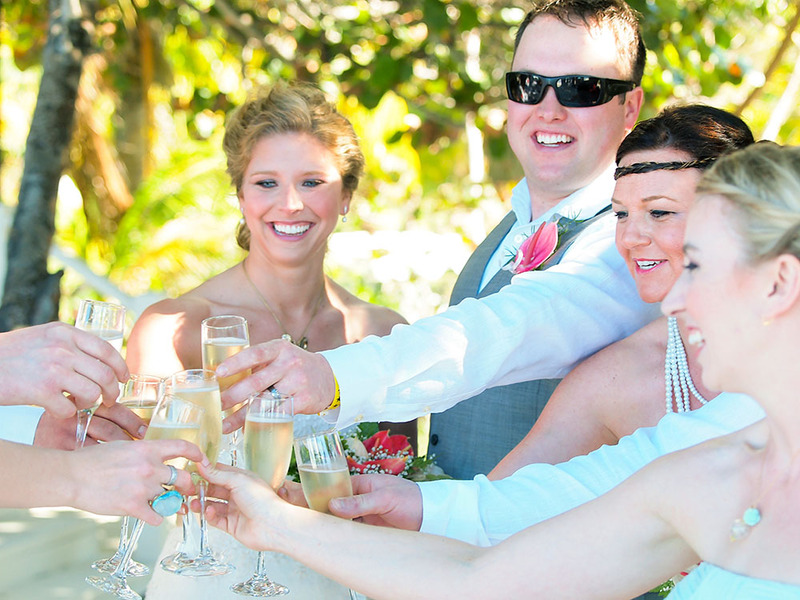 Jeremy and Amanda have a champagne toast after their beach wedding ceremony. 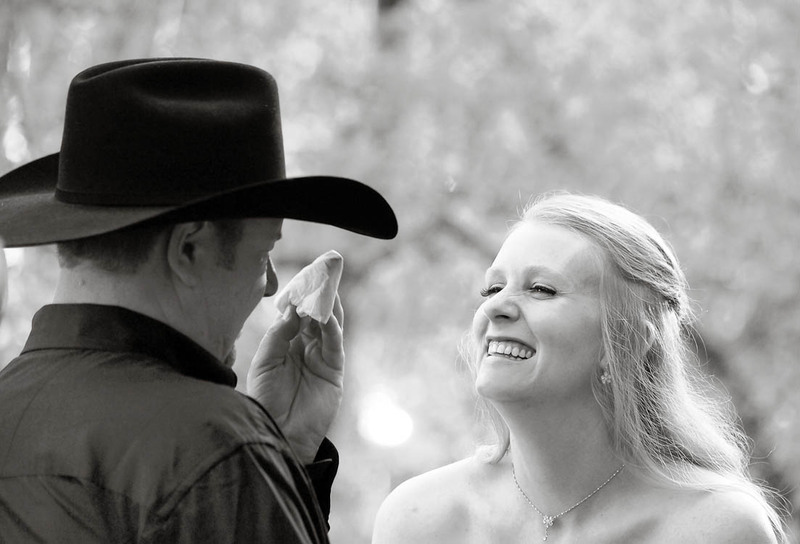 Ted and Dawn bonded over a love of horses, and rode down the aisle to their ceremony. 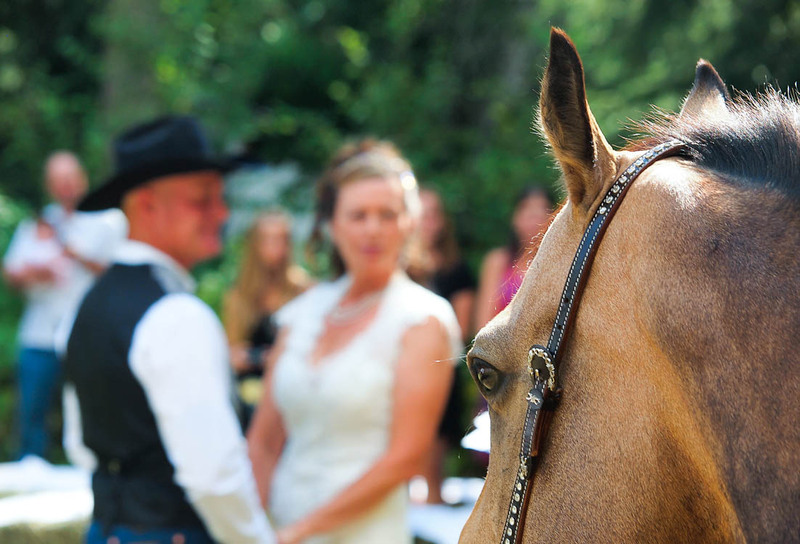 Here, one of their horses looks on during their vows. 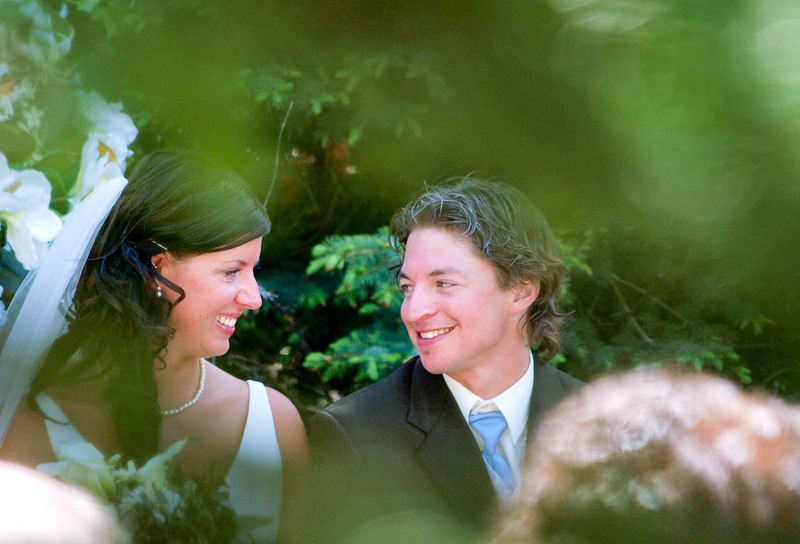 Wedding held on private property in Clearwater, BC. 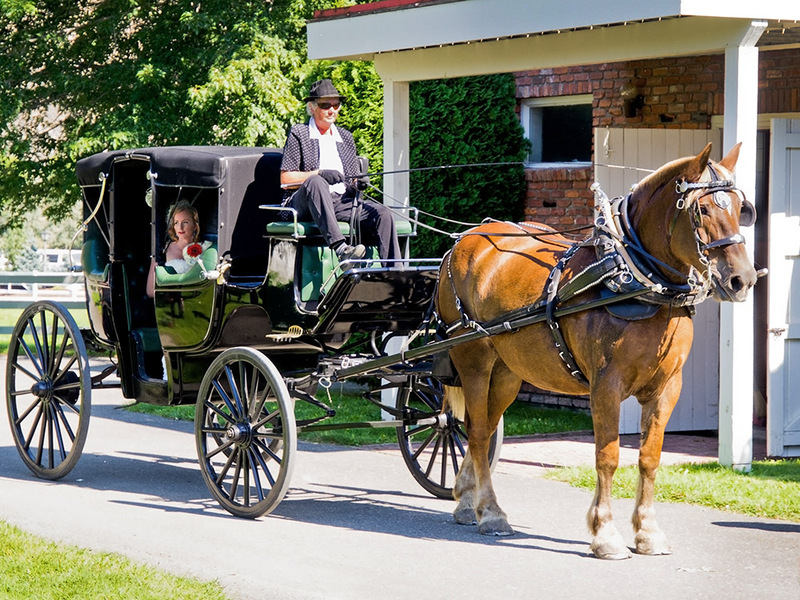 Crystal-Rayne arrives to the wedding in a horse drawn carriage at the South Thompson Inn, Kamloops, BC. 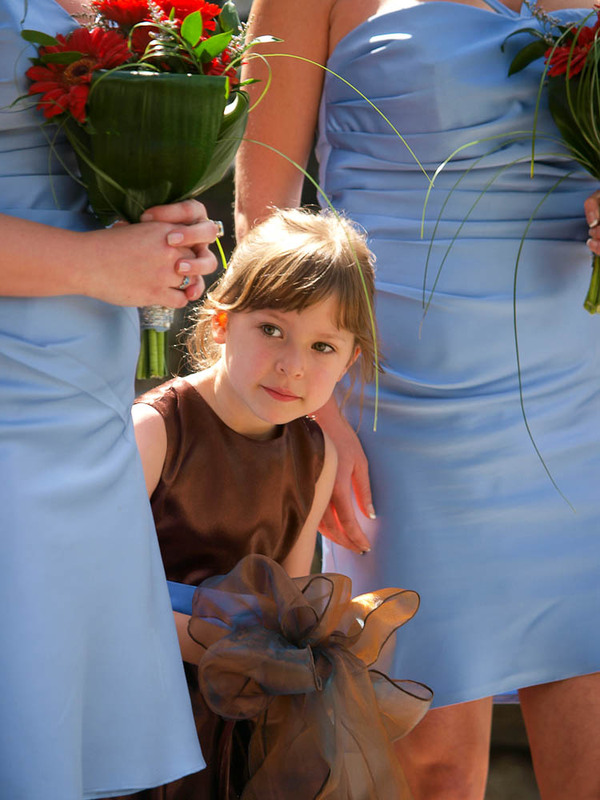 A flowergirl peeks out between bridesmaids during Brett and Kristin's wedding at Castle Mountain Resort. 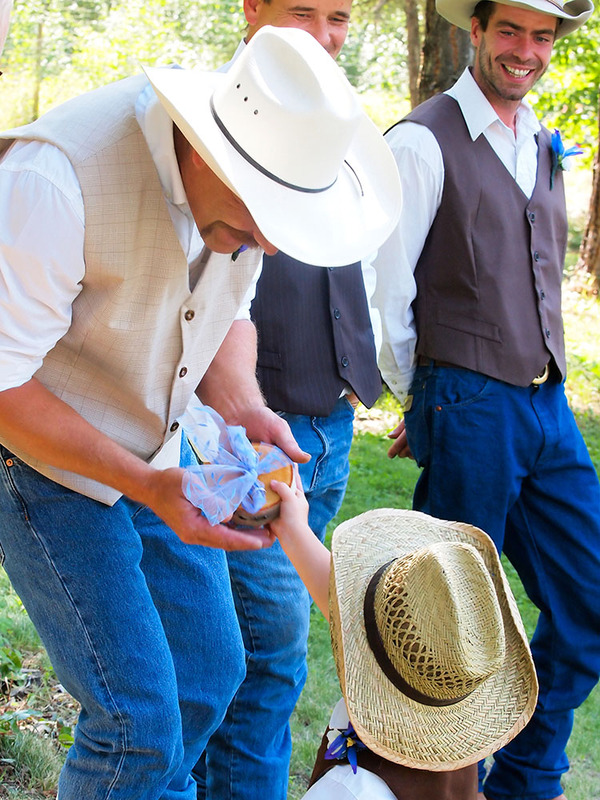 Dalyce thinks it's endearing that Jay is tearing up during their wedding ceremony at Rainbow's Roost in Kamloops. 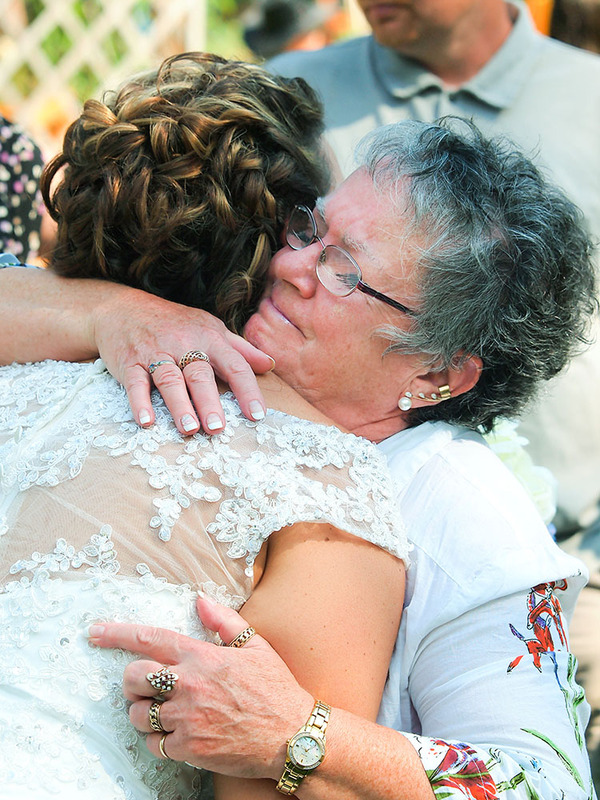 Laura's mother hugs her before she and her father give her away at her Barriere wedding ceremony. Jamie gives his father, Shad, the wedding rings. Matt and Caitlin's riverside ceremony at the South Thompson Inn in Kamloops, BC. 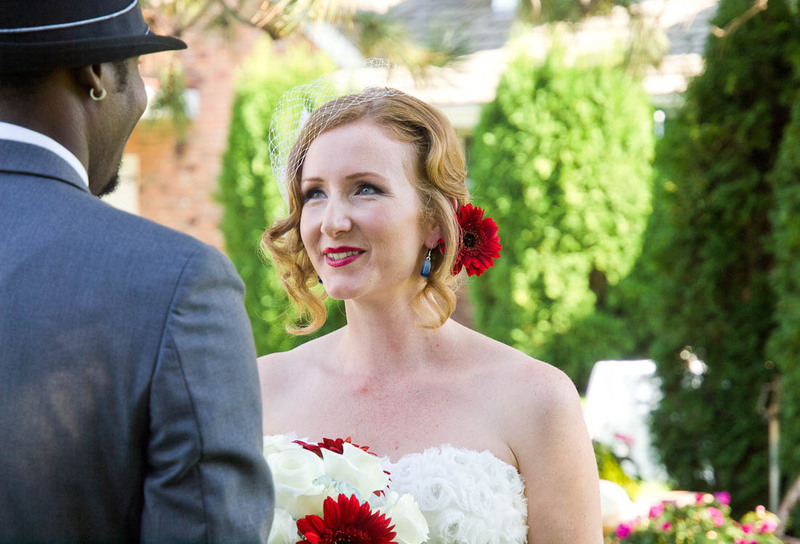 Caitlin says her vows and gives Matt his ring during their wedding ceremony at the South Thompson Inn, Kamloops, BC. 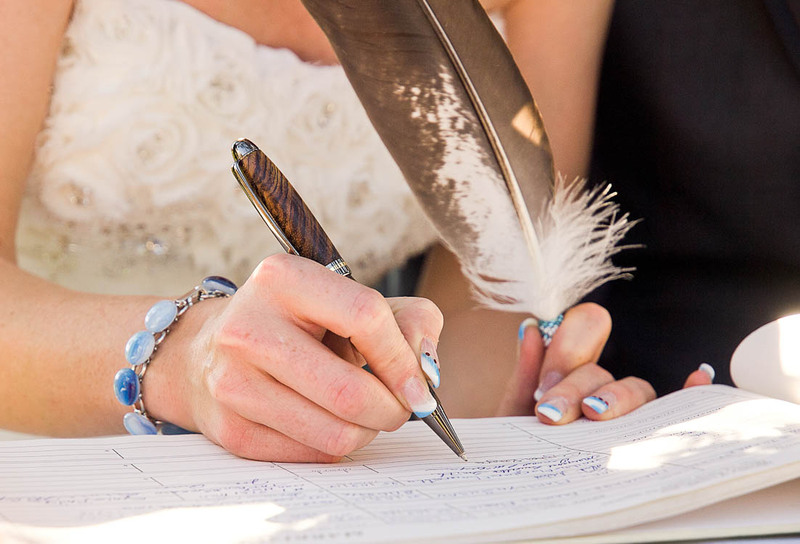 Crystal-Rayne signs the wedding register at the South Thompson Inn in Kamloops, BC. 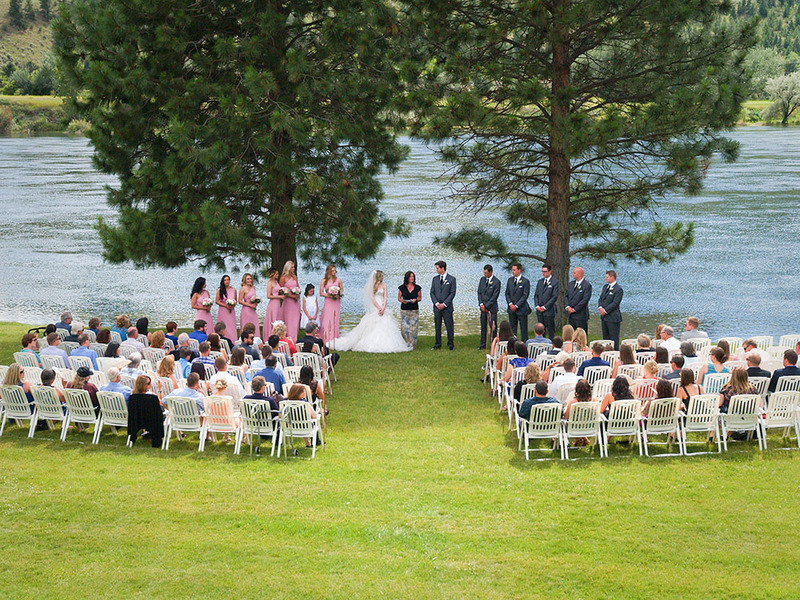 Eyes shining with happiness, Crystal Rayne says her vows to Carlos under the shade of the trees along the river at the South Thompson Inn, Kamloops, BC. 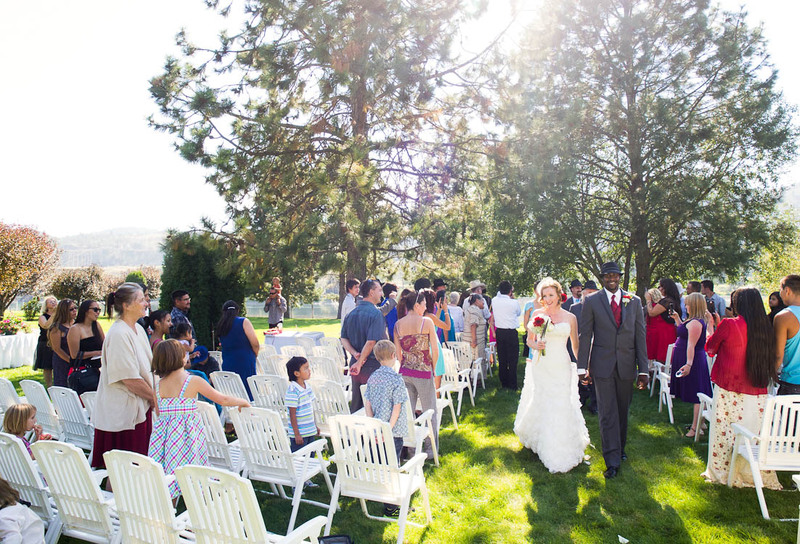 Carlos and Crystal-Rayne walk down the aisle after their wedding at the South Thompson Inn, Kamloops, BC. 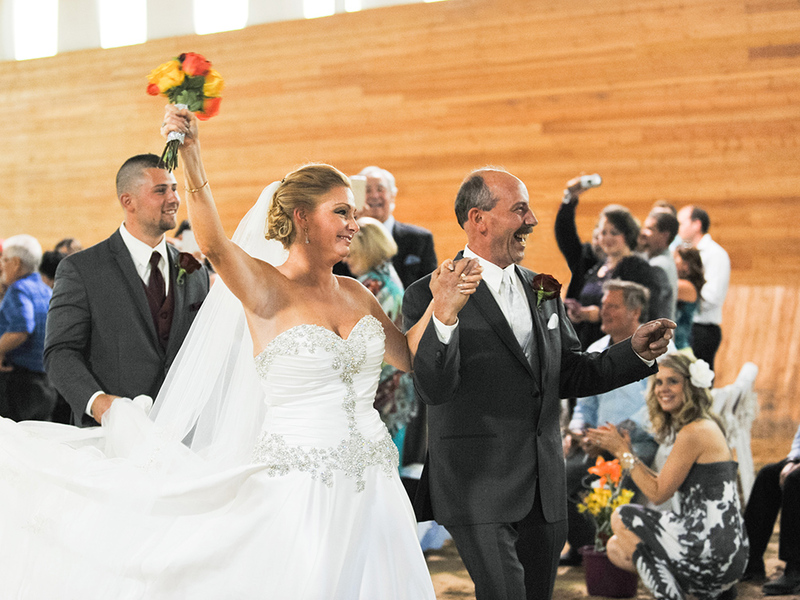 Andy and Stephanie walk down the aisle to cheers at Sun Meadows Equestrian Centre wedding. 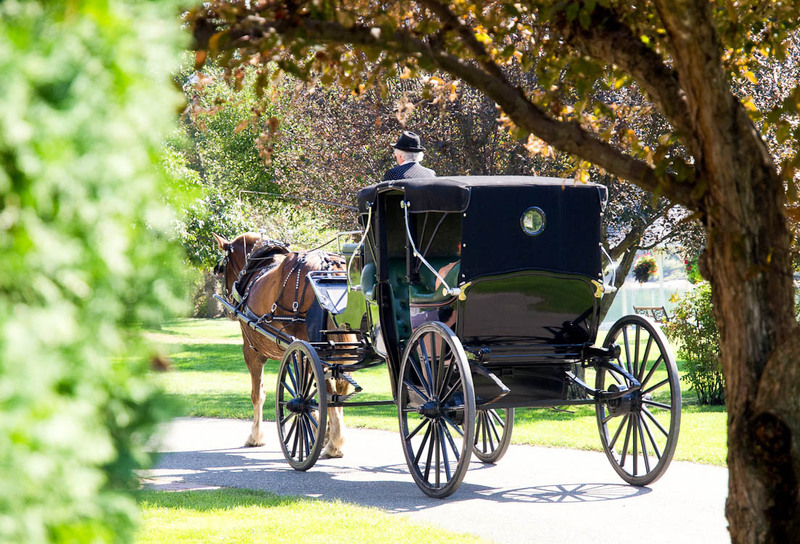 Carlos and Crystal-Rayne depart from the ceremony via horse drawn carriage at the South Thompson Inn, Kamloops, BC.